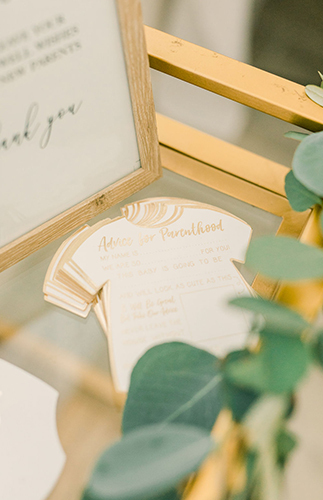 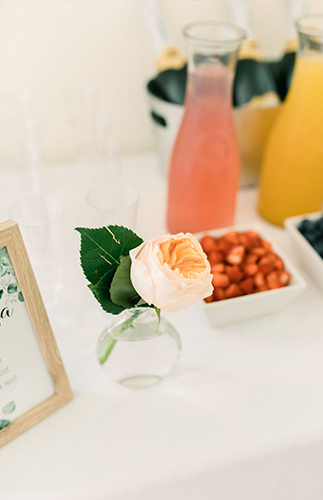 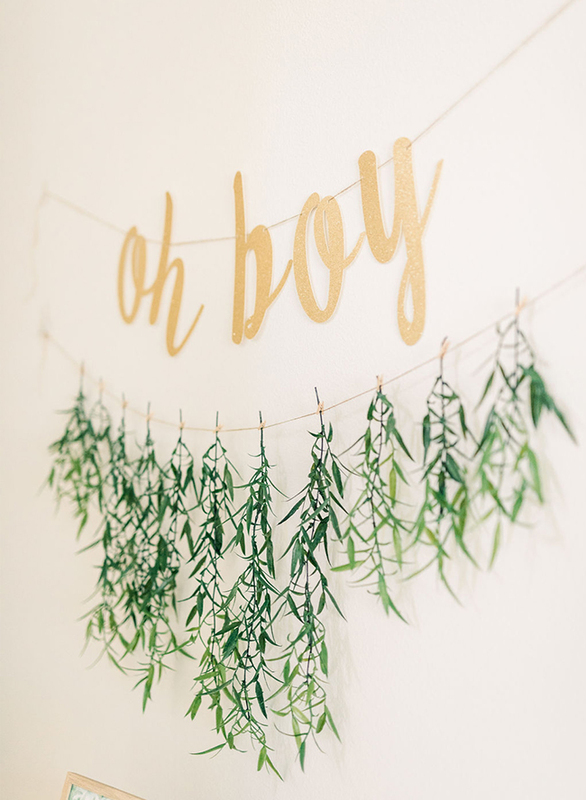 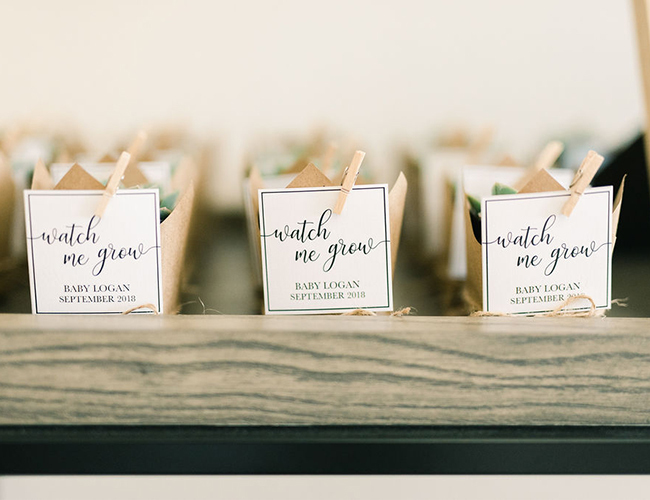 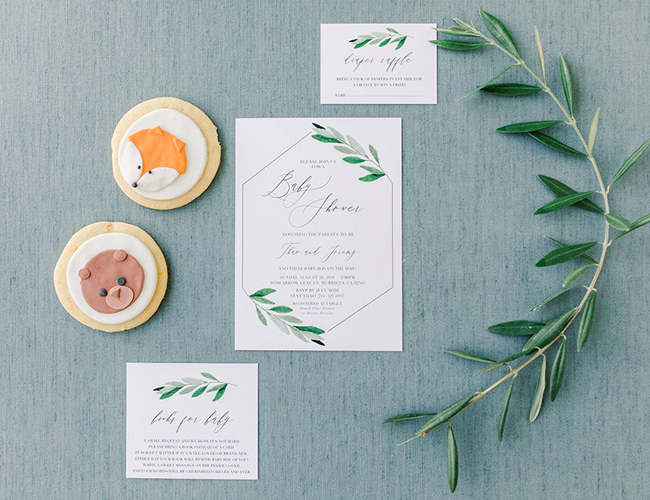 Oh BOY, this gold & greenery woodland baby shower had us at its welcome sign! 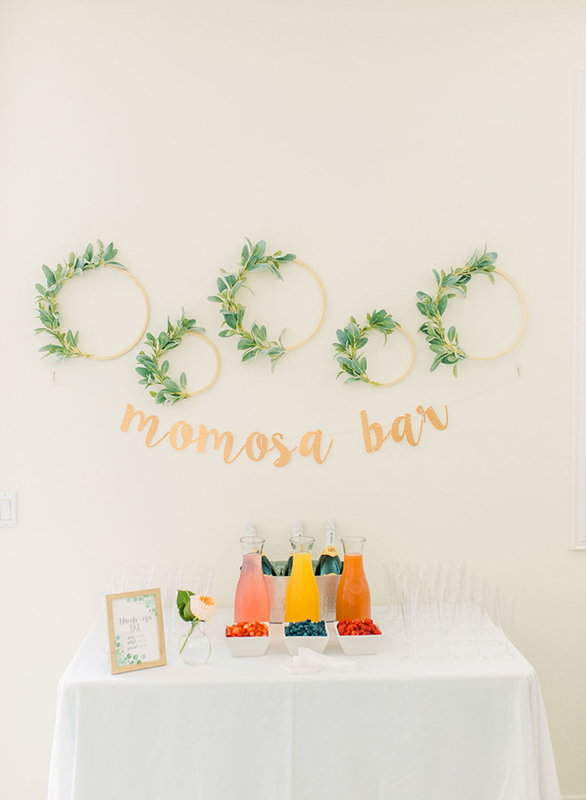 And welcome gifts for that matter… It was planned to perfection with a ‘mom’-osa bar, all the whimsical greenery Southern California can produce, and games for all; from guessing the baby’s birth date to a bottle chugging race. 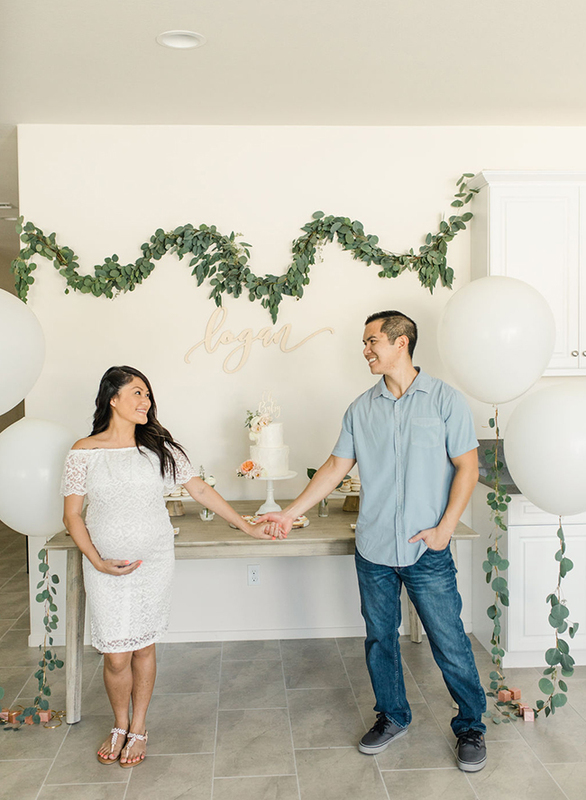 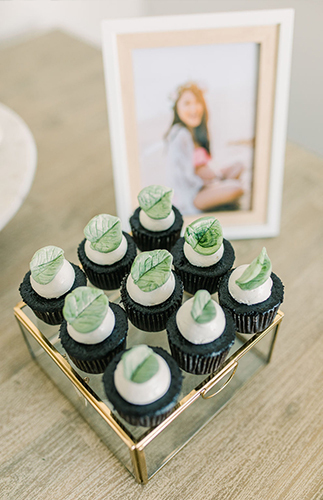 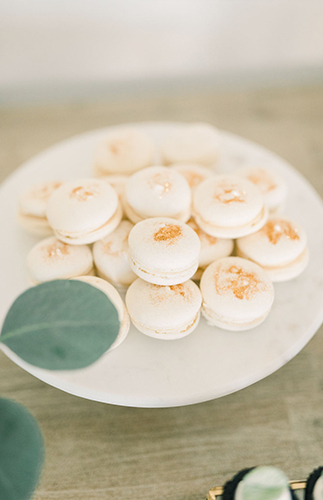 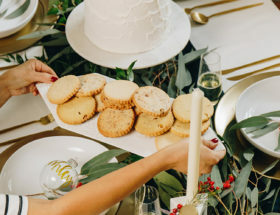 Considering the mama-to-be planned every detail of the shower, and is the planner behind Thao Arcaira Weddings + Events, we’re not surprised by its perfection! 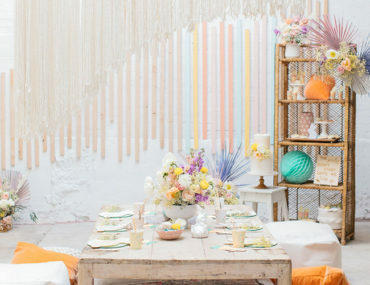 Can’t you tell by the array of decor that is beyond gorgeous? 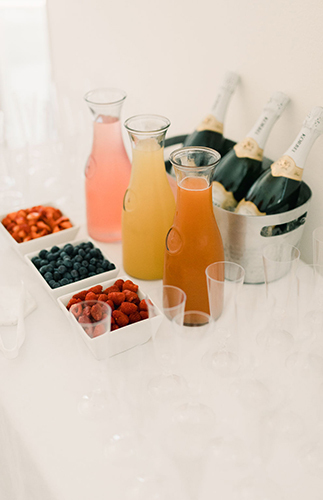 So grab some bubbly and scroll on through this sweet-and super fun- celebration. 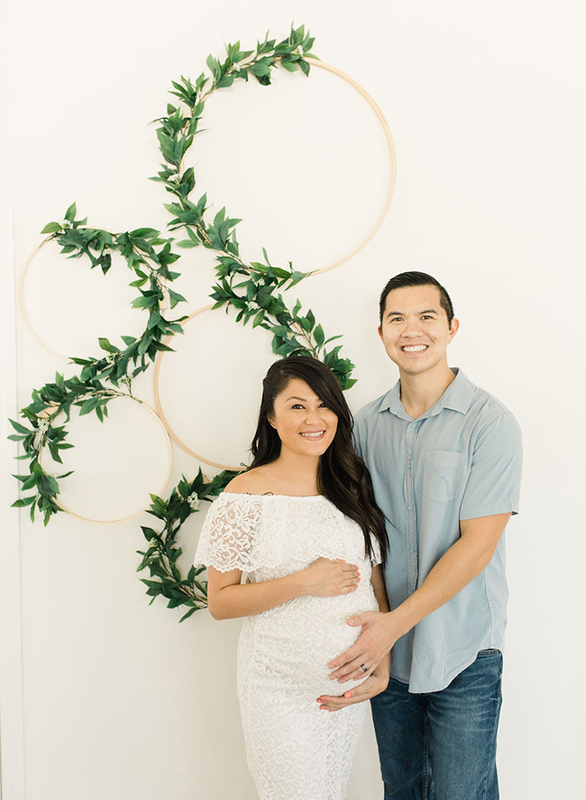 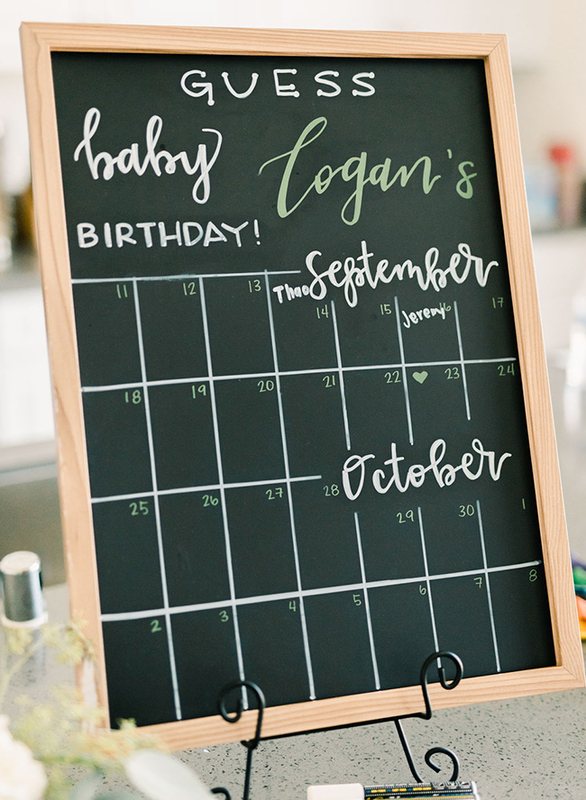 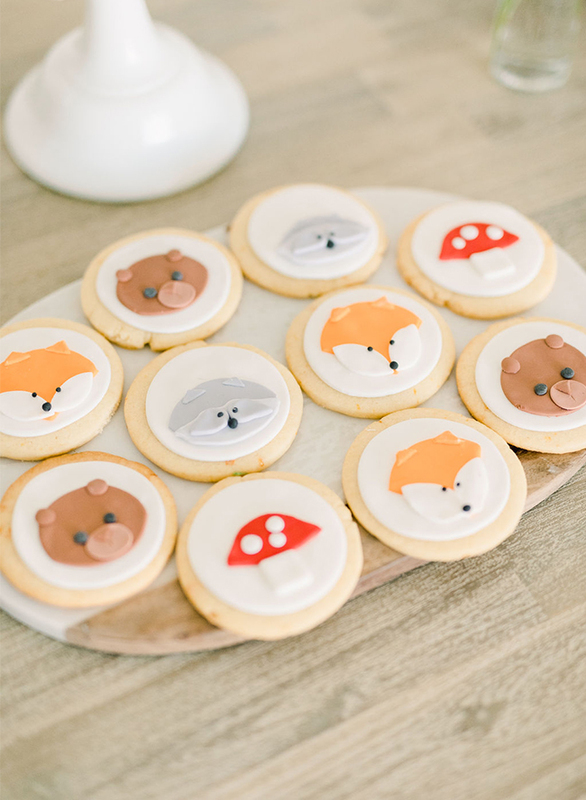 Thao says, Back in august, I was able to plan my very own baby shower for our baby boy Logan! 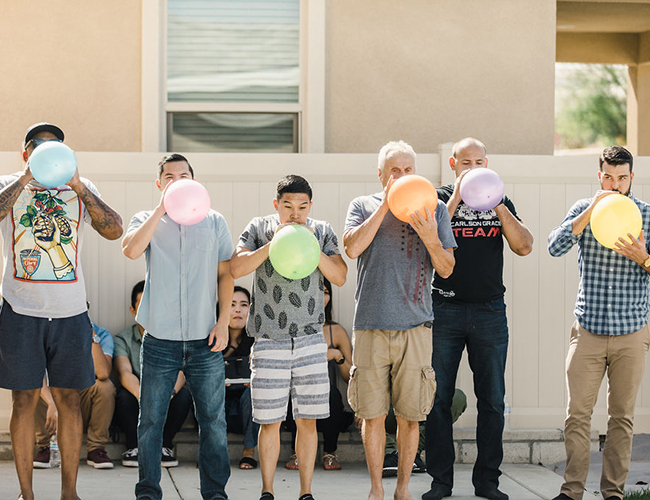 Before we found out the gender of the baby, I really thought I was having a baby girl. 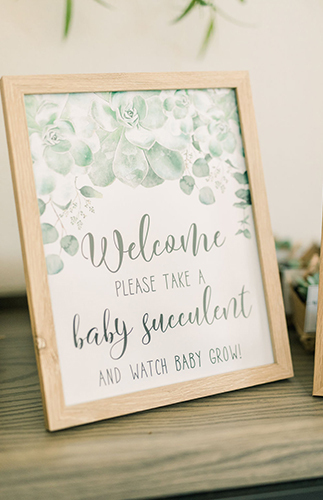 So, I started to brainstorm our baby shower and I thought of having a boho style with lots of flowers. 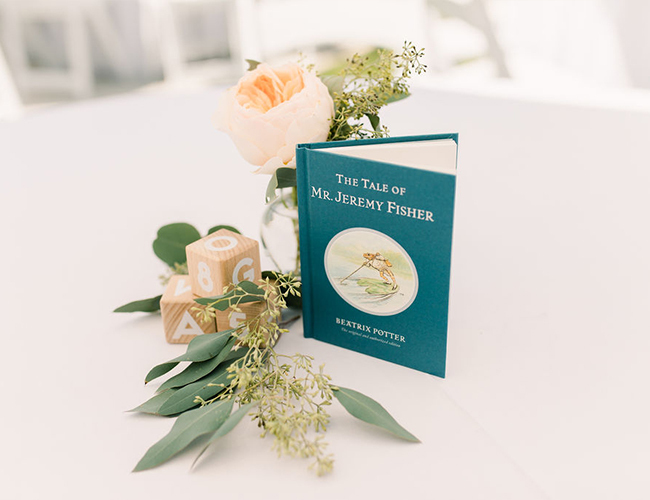 But as soon as we found it was a boy, I quickly changed up the style. 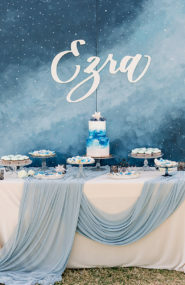 I knew I still wanted it to be pretty on the eyes, but not so girly. 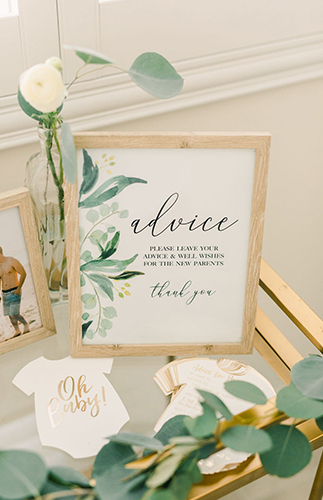 So I decided on a greenery woodland theme with a touch of gold. 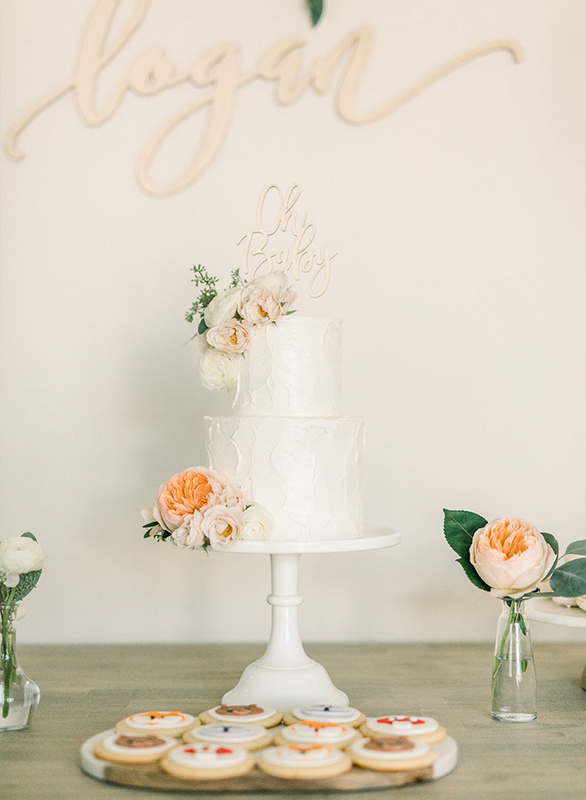 I love flowers so I knew I still needed to add a touch of flowers, but definitely with lots and lots of greenery. 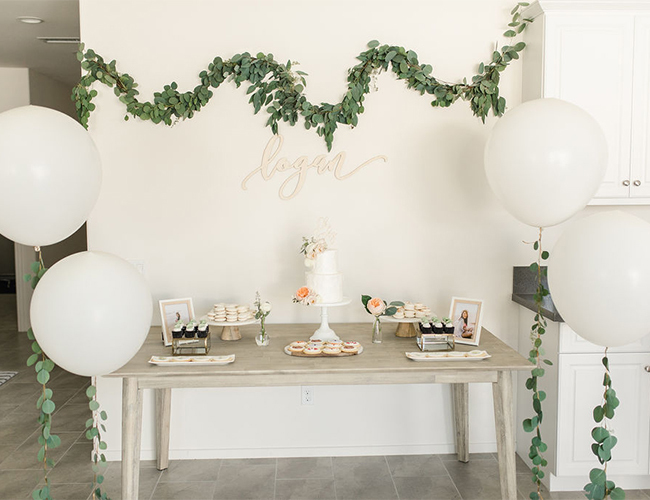 With the help of Susan from Susan’s Floral Design, we were able to put together all the pretty florals and eucalyptus garlands together. 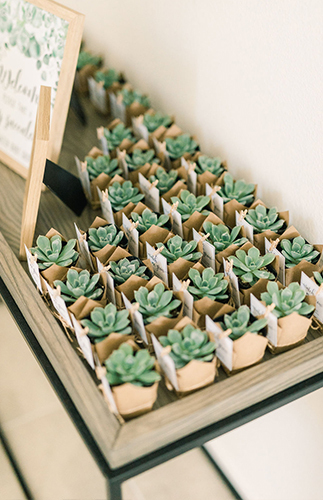 I made all the greenery wooden wreaths myself along with all the mini succulents for favors. 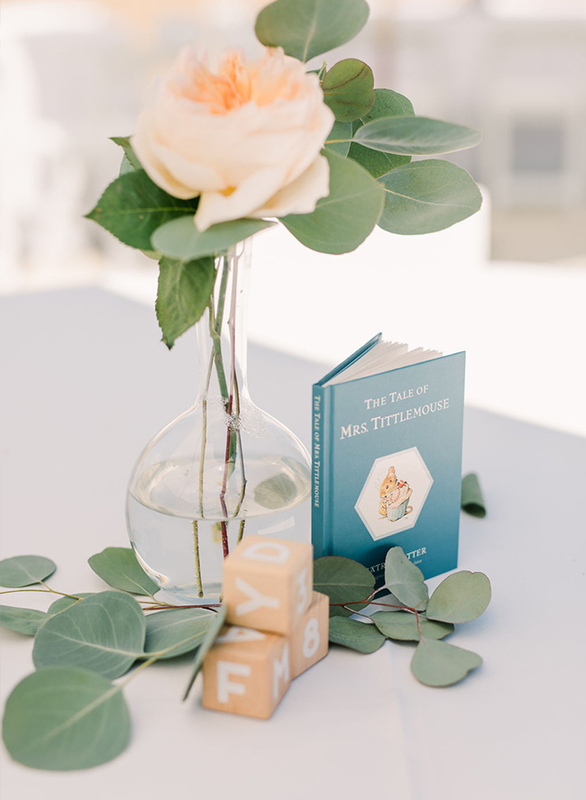 I also designed our baby shower invites. 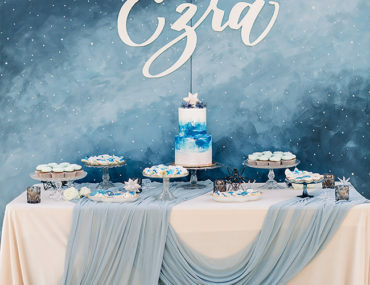 Our dessert table was a big hit and everyone loved the cake (Earl grey cake with orange blossom frosting) and all the yummy desserts. 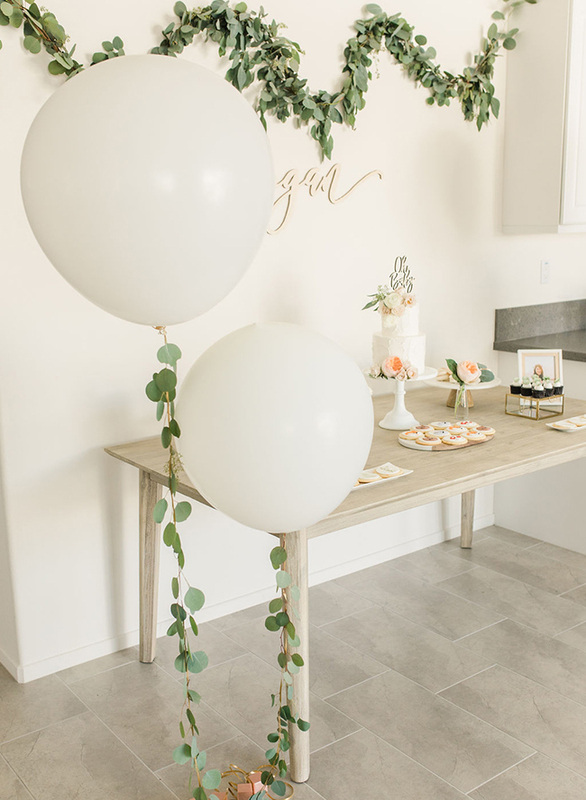 I designed and put together the dessert table myself. 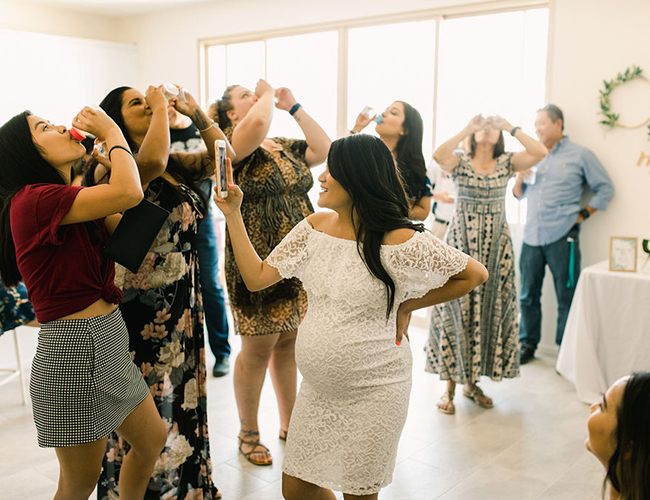 Overall I’m so happy with how our baby shower turned out and I really hope you all enjoy the beautiful photos from that day! 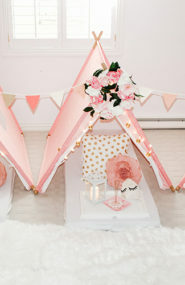 For similar, super cute showers, see this modern woodland baby shower and this woodland camping baby shower!